If you have a son graduating Kindergarten in May we have something for them to consider. 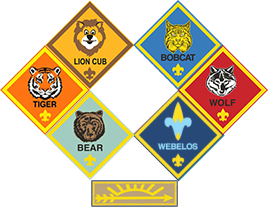 How about Cub Scouting? We'd love to talk to you about Boy Scouts and Cub Scouts, you can contact one of our leaders and let us know how we can help get your child involved.